When most people are thinking of a place to move – they may be thinking “city” or suburb or even subdivision; but, when it comes to wanting a small town environment, rich in agriculture and community, ARCANUM may be your place to consider! 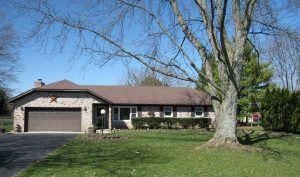 Located in Darke County, this community is North / West of the Greater Dayton area. It is a remote location with major highway access to take you around Ohio or to Indiana. Population of Arcanum is just over 2,000 but is BIG on HOSPITALITY! OR even better, take a leisure drive out and get a first hand feel for what the Village of Arcanum has to offer you!